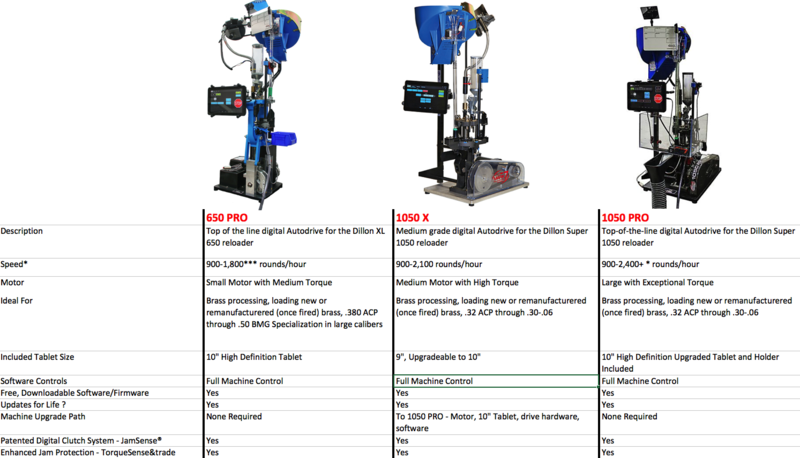 The Mark 7 1050PRO Autodrive stands head-and-shoulders above the competition when it comes to automating your Dillon Precision 1050 press. 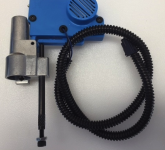 Never before has there been such an advanced and easy to use automation option for your 1050. If you’re looking for the best in speed, efficiency and performance, look no further! The engineering team at Mark 7 set out to make an Autodrive system that would be “plug and play” even though it is the most advanced system ever conceived. In this they have succeeded. 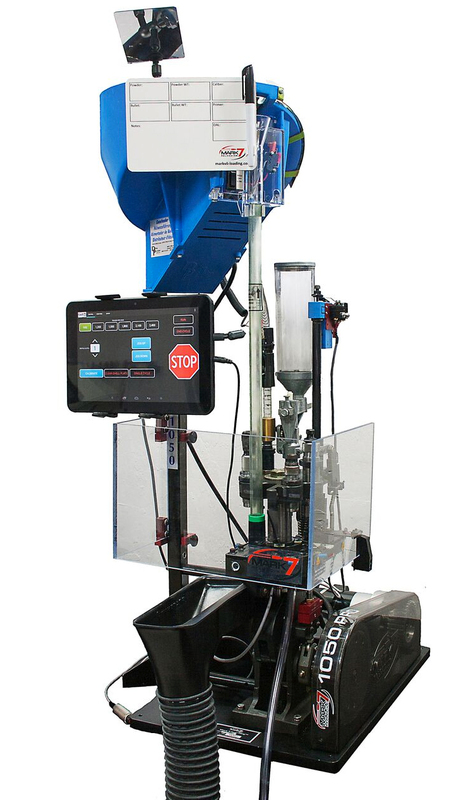 This system can be unpacked from the box, assembled to your press and be up and running in well under an hour. 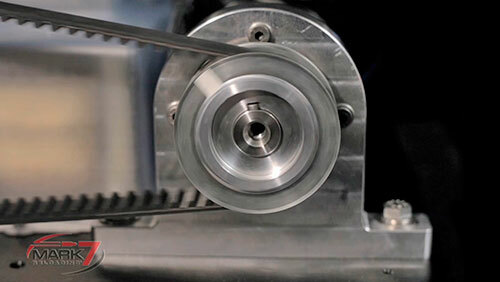 The Mark 7 1050X Autodrive “learns” your 1050, calibrates itself to your press and is ready to go. Just add components, and keep feeding it! The Mark 7 1050 PRO Autodrive is packed full of hi-tech advanced features. It is a patented digital drive system which features a digitally controlled clutch, allowing you to set the clutch levels as desired. 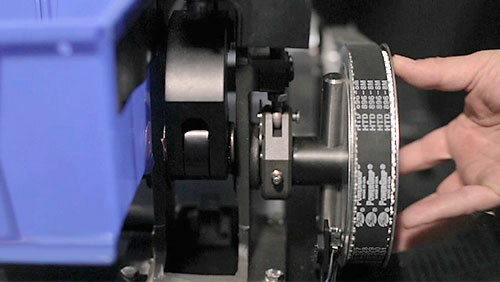 Programmable indexing speed and a first ever dwell-time delay setting, makes this a truly customizable solution. 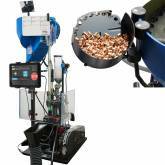 You can easily set it up just right for YOUR ammo and YOUR loading preferences. 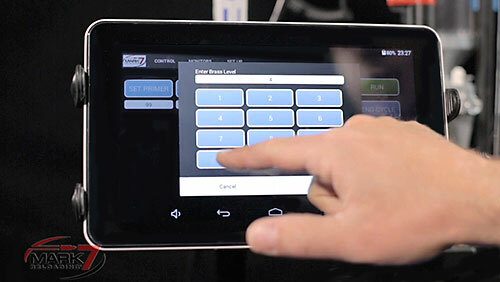 The Mark 7 1050 PRO Autodrive in controlled by a 10” tablet computer (included) and offers a wide arrange of computer controlled options for counters and Stops, as well as several external optional sensors available as accessories, and sold separately. It is hands-down the quietest Autodrive system on the market, and offers a wide range of upgradable features, with more abilities and sensors being added by the Mark 7 engineering team. 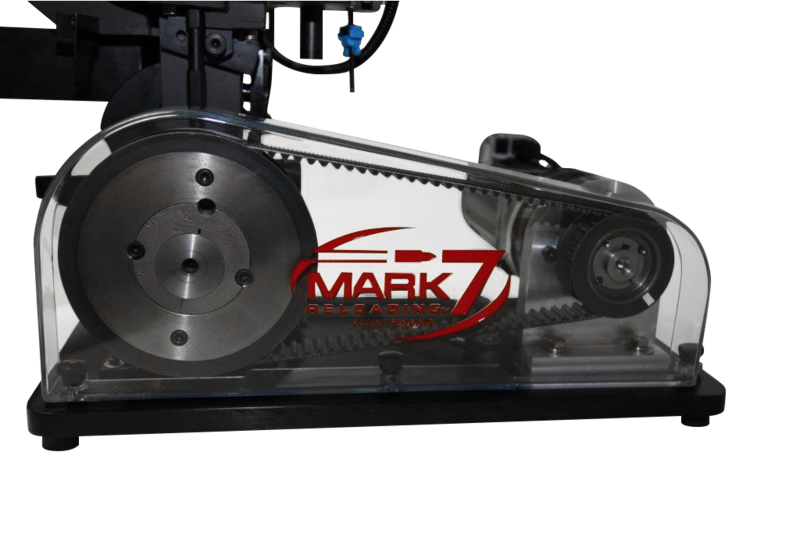 The Mark 7 1050 PRO Autodrive has adjustable speed options which are set by the user and can be adjusted on the fly. 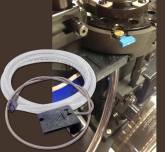 Cycle rates up to 2,400 are available, and give an effective output rate of approximately 2,200 rounds loaded per hour, depending on dwell time and indexing speed control setting.